When it comes to big things even small things have big versions of themselves. Sometimes the big version of the small thing can be mind boggling massive. 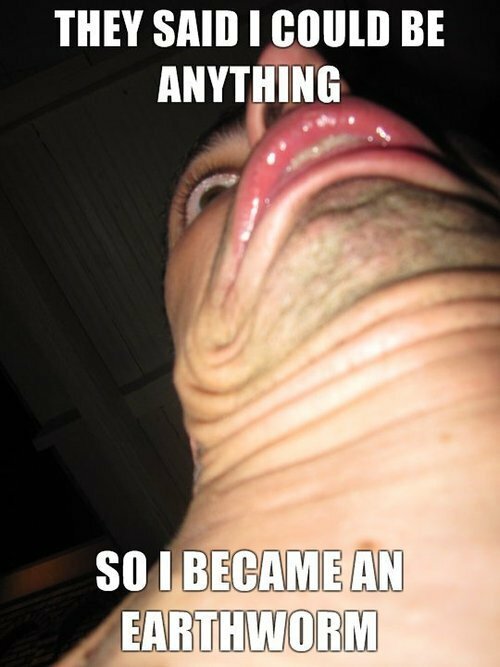 Take for instance the earth worm. Normally only a relatively small subterranean animal, they can often grow to considerable length. In fact, there’s a species of worm from South Africa that grow to an average of 1.8 m (6 feet) long. Now that’s fairly big by any means, but it doesn’t come close to the longest worm ever recorded. The longest worm ever recorded also came from South Africa, and is of the same species. In 1967 a South African earthworm was discovered on the side of the road that measured an eye gouging 6.7 m (22 feet) in length. But the massive earthworms from South Africa aren’t the only giant worms that the world has. In Australia there is a species that grows to an average length of 90 centimetres (3 feet), but can reach 3.6m (12 feet). These worms are so large that they can be heard moving under the soil while they process between half and their whole their body weight each day. It’s said to sound like a gurgling sound. Washington state and Oregon in the US also had giant worms as recently as the late 1970’s and early 1980’s. These worms could grow to an average length of between 60 centimetres and 90 centimetres (2 feet and 3 feet) in size, but they have not been seen for the last three decades. The worm from Oregon was said to smell like lilies when handled. Although these worms are massive examples of a nightmare gone wrong, they hardly measure up to the longest worm ever recorded.